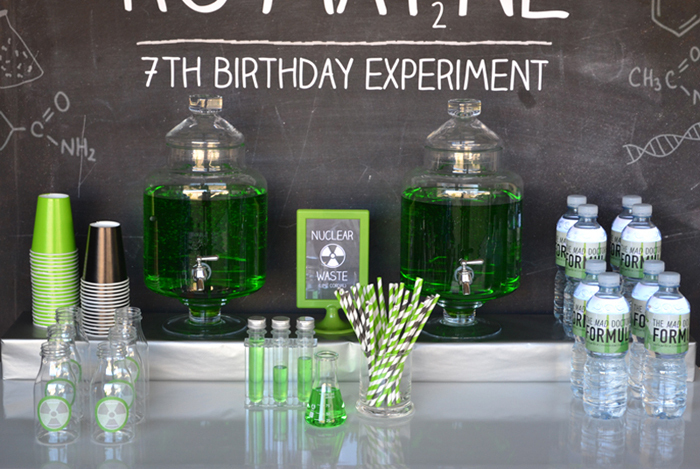 How fabulous is this Mad Scientist party from Alexis of Sugar Sweet Buffets? 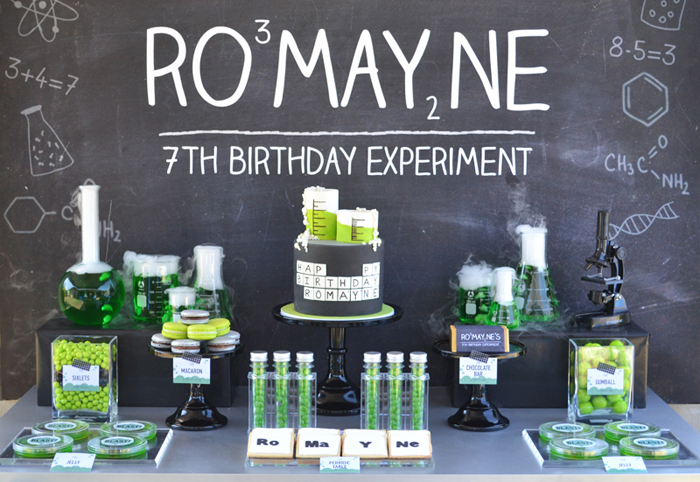 Since her son loves science, she pulled out beakers, test tubes, microscopes, and a science classroom blackboard backdrop for his 7th birthday. 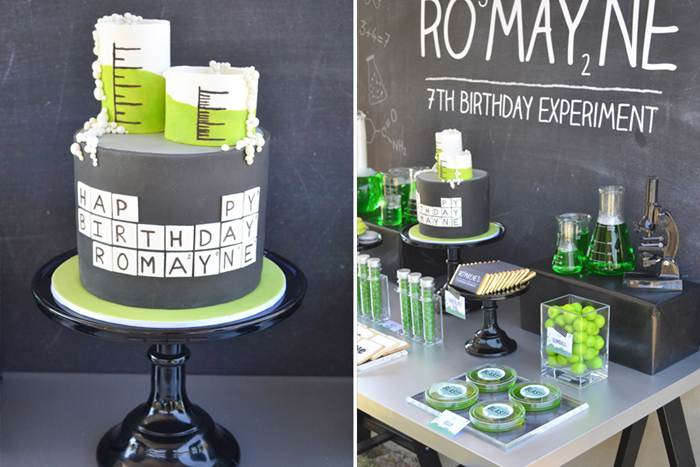 We love the lime green, charcoal and black color palette for this theme. 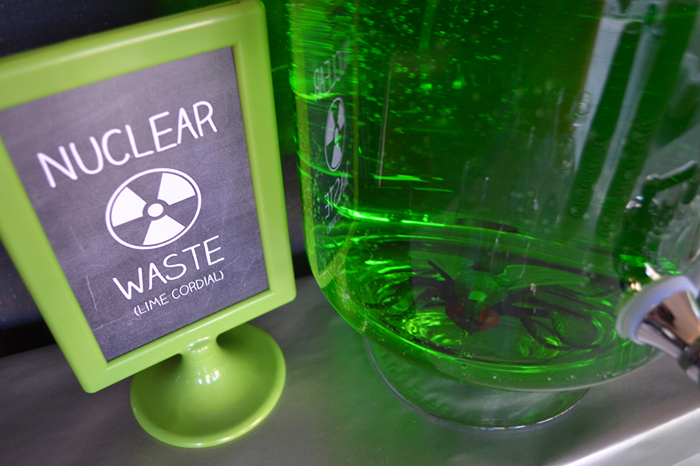 Upon arrival, guests were given Doctor identification name tags and safety glasses to wear. 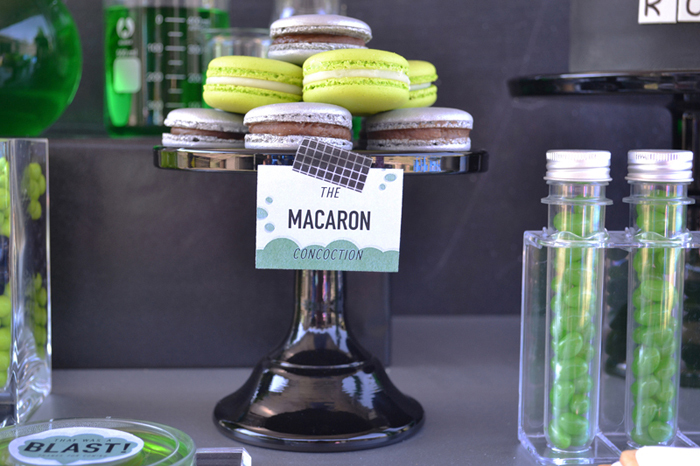 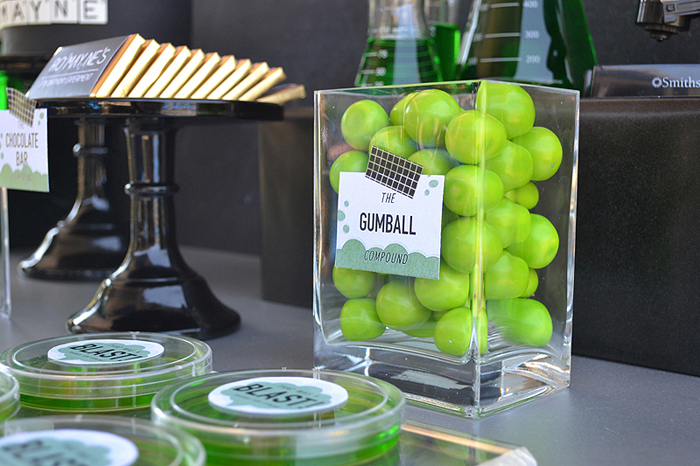 Sweet treats on the dessert table included that fabulous science themed chocolate mud cake, petri dish jellies, test tube jelly beans, periodic table cookies, a macaron concoction, chemical formula chocolate bars, and science compound gumballs. 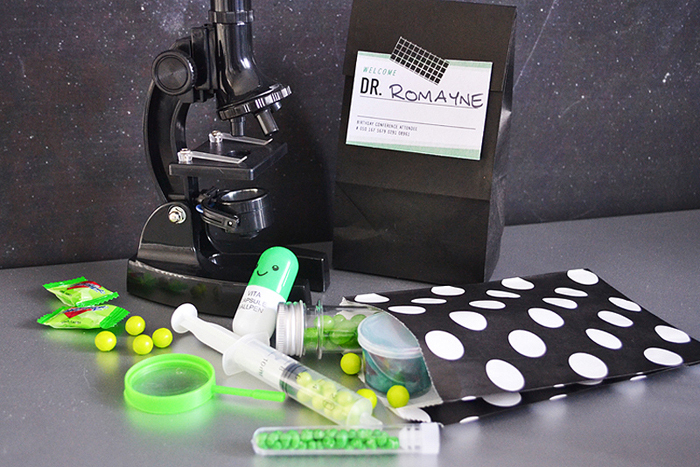 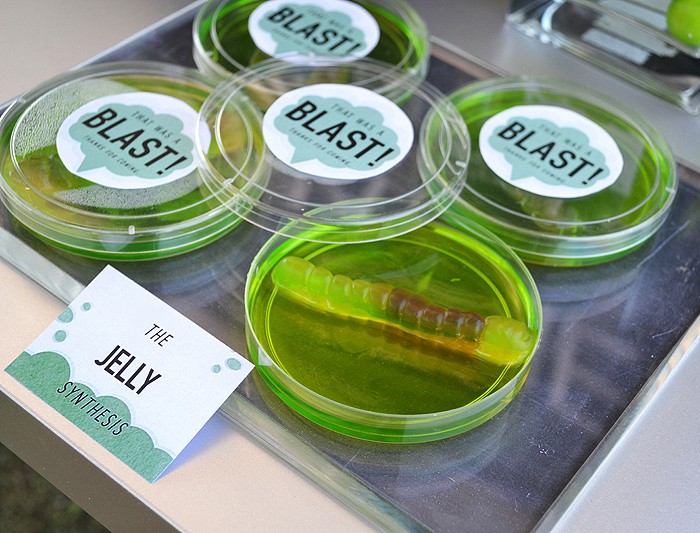 Party favors included test tube and syringe-filled candy, slime, capsule pens, and magnifying glasses. 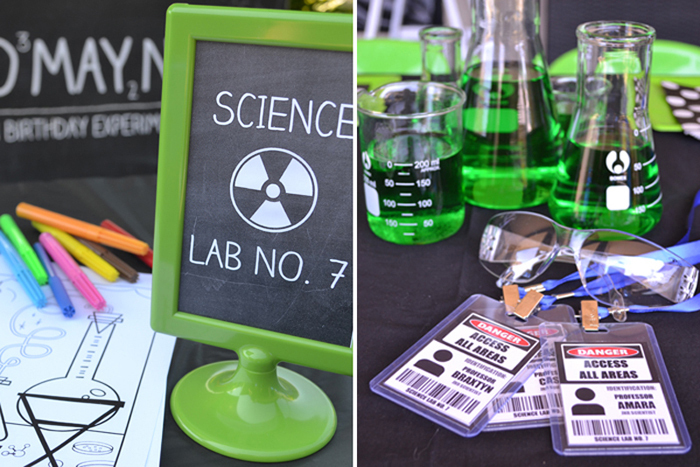 Guests watched a science demonstration and then decorated and launched toy rockets. 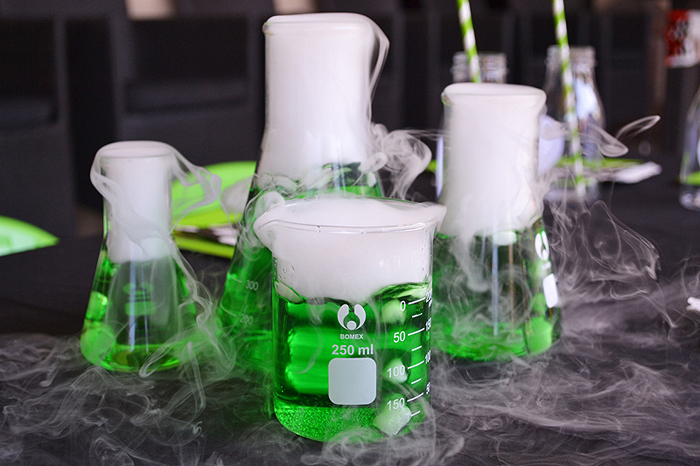 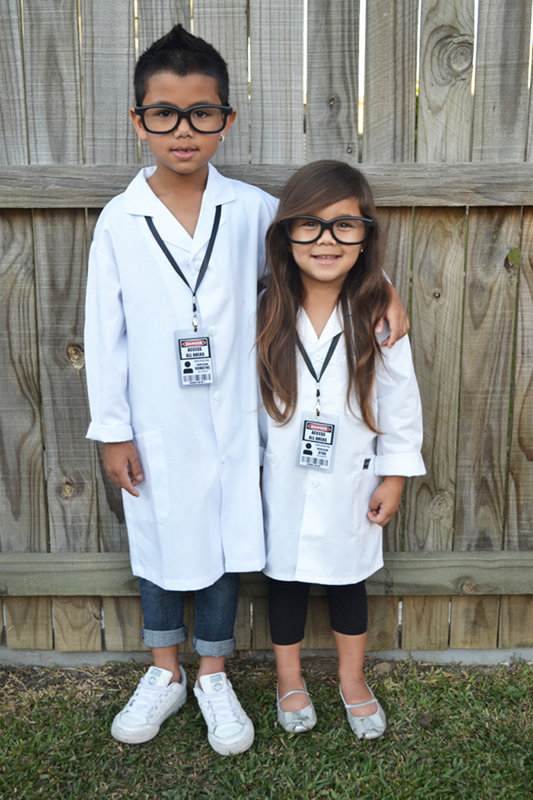 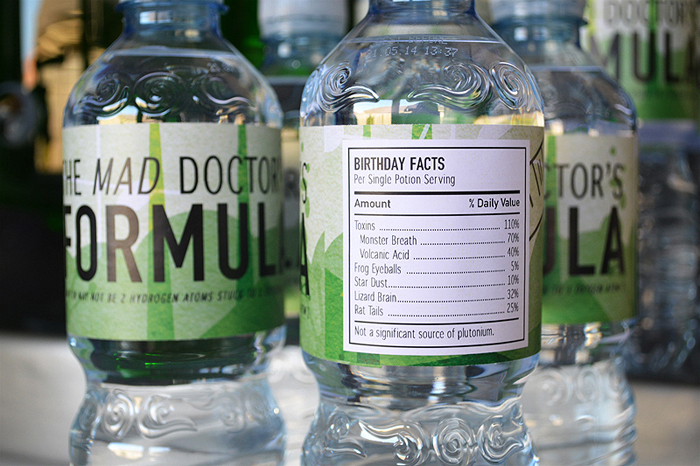 Scroll down for the vendor credits.For another fun mad scientist party, look here. 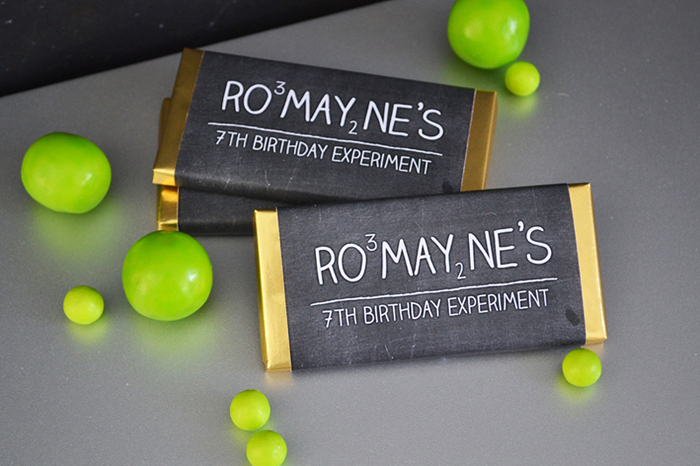 Fun Fact: The letter J is the only letter not in the periodic table. 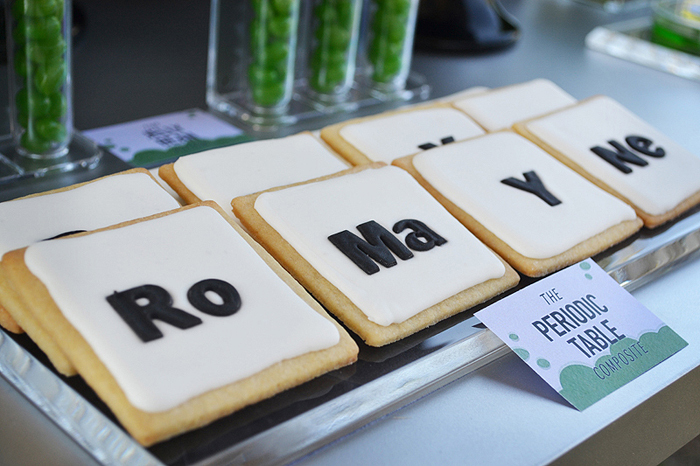 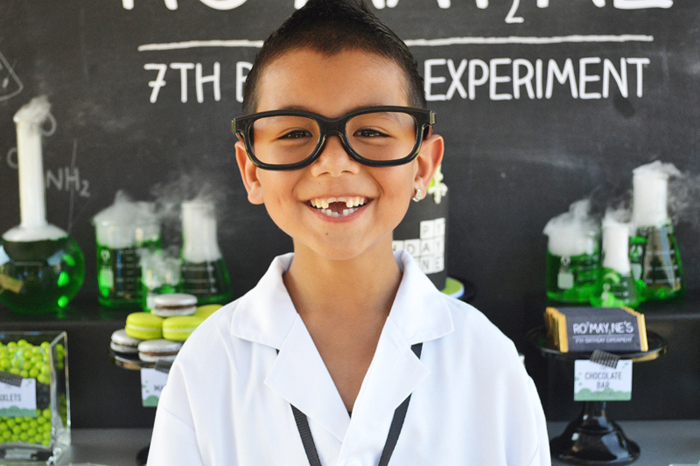 Cake and cookies: Cherry Cake Co.
Birthday Parties, Mad Scientist, Science.